Our shoots are not free. We are a business, we provide a professional service, and we gotta keep the lights on. ALL SHOOTS ARE PRIVATE. Photos only go online with client's signed permission. We have no "type" - we will shoot with ANY woman. While we encourage and appreciate input, all shoots will be done our way. Please check out our galleries and make sure we are the photographers for you. Shoot packages start at $1600. A non-refundable $250 retainer is required to book. Unlimited shoot time that includes makeup, styling, and pose instructing. Products available including fine art prints, albums, canvases, wall art, etc. 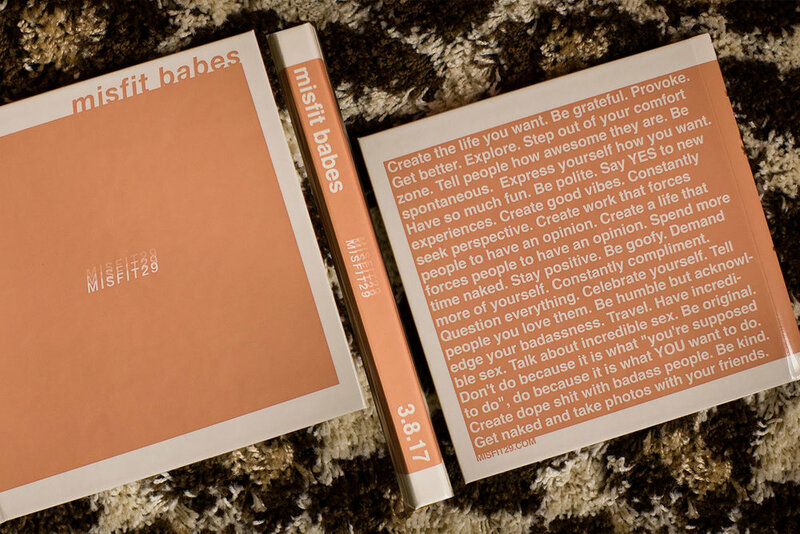 Our most popular product is the custom designed 10"x10" Misfit Babes Coffee Table Book featuring all photos from the shoot! It's DOPE AF!! Now, HIT US UP AND let's create some BADASS photos!!! Hell yeaaah!!! Thank you so much!! We will get back to you ASAP!! Have a great day!! !